If you enjoy the outdoors all year long, even when it’s wet and cold, you have to prepare properly. When dressing for the winter leave the cotton at home – once wet it’s like a death blanket. Keep your head and neck covered and make sure you have adequate protection for your hands and feet (while allowing for proper blood flow). Make sure you bring a lot of carbs to stay fueled and don’t forget your body needs to stay hydrated – especially in winter. OK Nanook, so you’re ready for a good time in the outdoors with friends and you need a reliable camera to capture those moments where you’re huddled over a fire looking like a ragged group of post apocalyptic survivors. Enter the Panasonic LUMIX DMC-TS2, a waterproof, freeze-proof and shockproof 14.1-megapixel camera also capable of recording HD video. The LUMIX TS2 is a camera built for action. It’s waterproof to 33 feet /10m (1 atmosphere for you divers), shockproof to 10 feet (2m), freeze-proof to 14° F (-10° C) and dust-proof. The airtight body protects it against water immersion, dust and sand and rubber padding, reinforced glass (protecting the 2.7-inch, 230,000-dot Intelligent LCD) and carbon construction inside the camera further ruggedize the LUMIX TS2 that is also as smart as it is tough. Pricing and availability for the Panasonic LUMIX TS2 will be announced 30 days prior to shipping date (unannounced, but note that it’s predecessor, the LUMIX TS1 was priced around $380USD). 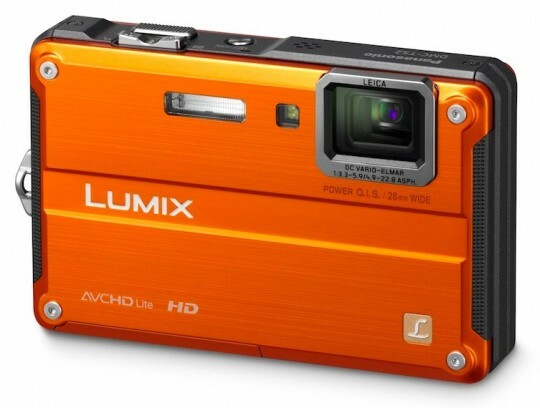 The Panasonic LUMIX TS2 will be available in silver, blue, orange and yellow.